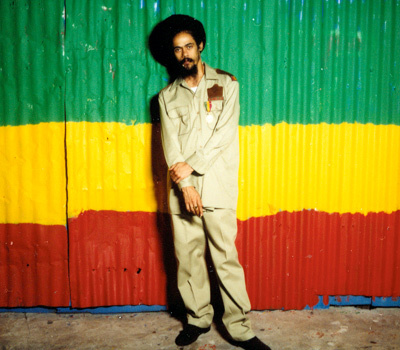 Damian Marley took home the grammy for Best Reggae Album at the 48th annual grammy awards held on Februay 8th. My vote was broken between Damian and Sean Paul but it seems that Junior came out in the end to beat Sean Paul’s Trinity album to the prize. The grammy show itself was one of the best I’ve watched in years and I really enjoyed the performances especially those by Madonna and Kanye West. Congratulations to Damain Marley and his team on your second grammy success. Through Nasâ€™s collab with Jr Gong I now have a little more understanding of Jamaican music. Slowly Iâ€™m working through it all and have been sent a link to this book. Am excited by the long journey of discovery. Pogus Caesarâ€™s new book MUZIK KINDA SWEET = it features rare archive photographs of legendary Reggae artists including: Burning Spear, Mighty Diamonds, Augustus Pablo, Jimmy Cliff, Junior Delgado, Prince Alla, Dennis Brown and a host of others â€“ a must for all lovers of Reggae. Some wikkid pics fe reel in muzik kind a sweet , Burning Spear is the best artist in history and Damian Marley carry on that legacy.